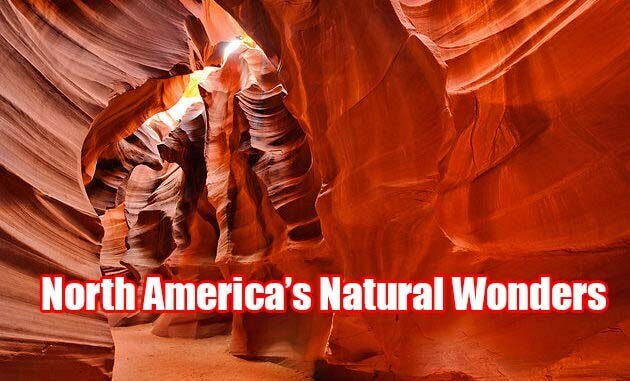 The natural wonders of North America are so majestic and breathtaking that more than 10 million tourists visits these geological wonders every year. From its highest mountain ranges to its massive icy glaciers, here are 6 of North America’s natural wonders. With more than 12 million visitors every year, the Niagara Falls is the most popular water fall in the world. The more than 600 thousand gallons of water per second that plunges from the falls 185-foot drop creates giant whirlpools that thrills visitors who views them above from specially designed cable cars. 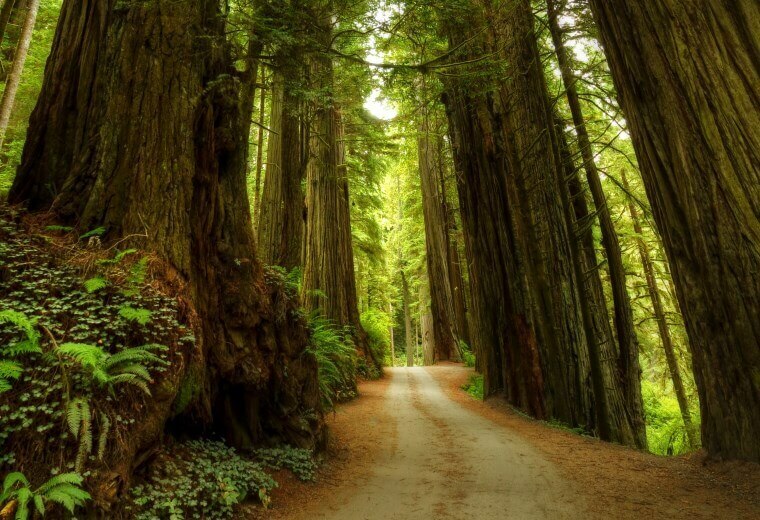 The Redwood National and State Park is a 37 mile long stretch along the pacific coastline. This 157,000 acres of land is home to the majestic redwood trees of North America. A visit to the Redwood National and State Park is just like a visit to the past, when the redwood trees flourished in California and Oregon. Some of the largest redwood trees in the area can be found in Stout Grove in Jedediah Smith Redwoods State Park. Here, giant redwood trees can measure as much as 30 feet around the base of the tree. The Grand Canyon holds the record as the most photographed sight in the world. The rock walls that span for more than 200 miles are simply a sight to behold and one can’t simply appreciate its beauty without being there. 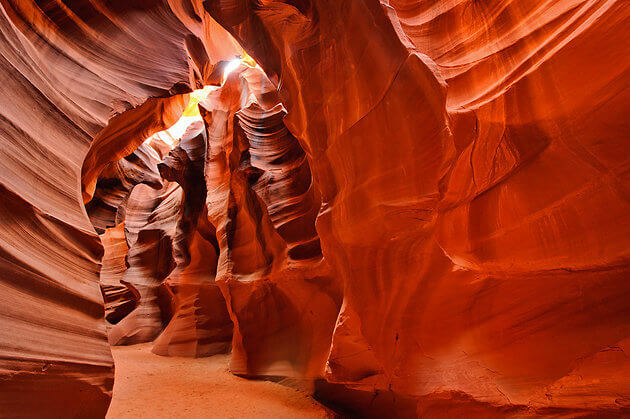 If you visit Antelope Canyon in Arizona USA, you would think that what you are seeing is a photograph that was beautifully rendered through Photoshop. The crevices that were carved by water for millions of years are so extraordinary and unbelievable that even the rocks appear to have different colors once light hits its walls. For more than a million years, Mother Nature created these one of a kind and beautiful natural oddity. In the midst of the Utah dessert, you will find more than 2,000 naturally curved sandstone arches that seem to neglect the laws of gravity. These Stone Arches that reaches up to 100 feet in the air will make you appreciate Mother Nature’s artistic work. Arches such as the Balanced Rock, Landscape Arch, Double Arch, and the most photographed Delicate Arc are just some of the beautiful sites that the Arches National Park offers. 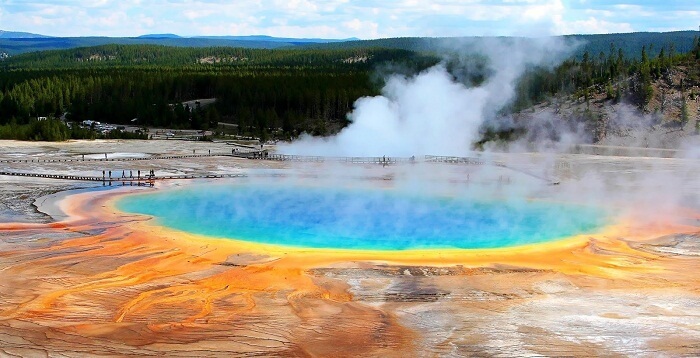 In 1872, the Yellowstone National Park became the very first national park in the world. The more than 300 geysers that can be found in the park was the result of a super volcanic eruption that occurred more than 600,000 years ago. The most famous of all the geysers in the park is the geyser nicknamed “Old Faithful.” In just one and a half hour, the Old Faithful spews more than 8,000 gallons of boiling water. Yellowstone National Park is also a wildlife haven. Grizzly bears, moose, elks, and sometimes bison are often seen roaming inside the park freely.